A new open fund from Paul Hamlyn Foundation is an opportunity for arts organisations and primary schools in Yorkshire and the Humber to apply for up to £150,000 to explore embedding learning through the arts in the primary curriculum. Education and Learning through the Arts, with a focus on supporting disadvantaged learners is one of Paul Hamlyn Foundation’s (PHF) six strategic priorities. Through its Arts-Based Learning Fund, PHF already funds a wide range of projects which explore how arts-based approaches can deliver excellent teaching and learning across the curriculum, achieving positive outcomes for pupils’ engagement, attainment, and soft skills. Its new Teacher Development Fund extends its work in this area and is now open for applications. IVE has been working with the Royal Shakespeare Company on its pilot phase. The Teacher Development Fund, whose aim is to develop individual teachers alongside supporting whole schools to embed arts-based learning across the curriculum, is being launched following two years of pilot activity. Seven pilot projects have been exploring different models for teacher CPDL (continuing professional development and learning). 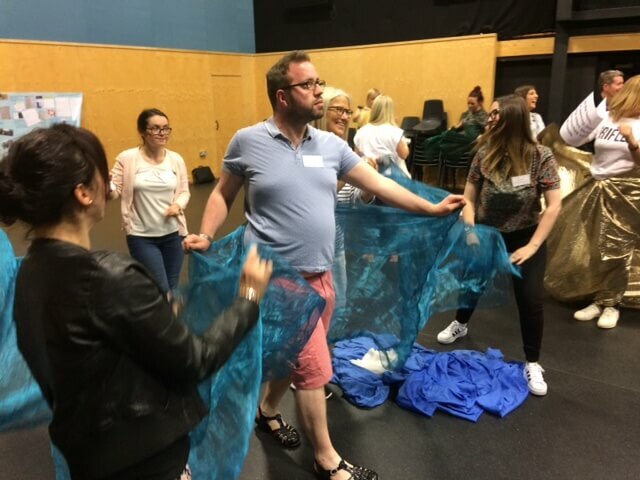 The common thread is directly supporting the development of primary teachers, building their skills, confidence and experience so that they are able to embed arts-based approaches into their everyday practice. IVE is working in partnership with the Royal Shakespeare Company in Hull on one of these pilot projects. Learning from the pilots has fed directly into the design of the Teacher Development Fund. Each year PHF expects to give around five grants of up to £150,000 to projects which will run for two academic years. They are looking to support strong partnerships of arts/cultural organisations and up to ten schools; either an arts/cultural organisation or a school can be the lead applicant. PHF wants to support projects whose CPDL approaches are consistent with the evidence about what makes a difference for pupils, as well as educators. It defines CPD as specific support offered to teachers, for example a training day, and CPDL as the processes and activities that teachers undertake as they participate in and respond to CPD, use new knowledge and skills in their teaching, and understand the impact this may have on their pupils. The pilots achieved the greatest impact when school leaders were positioned as lead learners and closely involved in planning, delivery and reflection activities. School leaders include head teachers and others influencing curriculum planning such as subject leads or phase leads. The relationship between schools and artist practitioners is at the heart of each TDF project. Artist practitioners facilitate CPDL for teachers and school leaders, supporting them to become autonomous in their delivery of arts-based learning and to achieve a sustainable approach to embedding learning through the arts in the curriculum. Strong reflective practice should be embedded in the CPDL process. Our pilot projects have shown that it is crucial to have a clear process for reflecting on the effectiveness of the CPD input, how the work is impacting on teachers’ practice and the outcomes for pupils’ learning. You’ll find films, blogs and other resources illustrating the purpose and priorities of the Teacher Development Fund and learning from the pilot projects here. This is a great opportunity for arts and cultural organisations and primary schools who have a strong record of partnership working and an ambition to learn deeply about the role of CPDL in embedding learning through the arts in the primary curriculum. The next deadline for applications is 23rd March, for projects starting in Autumn 2018 and you can preview the application form here.